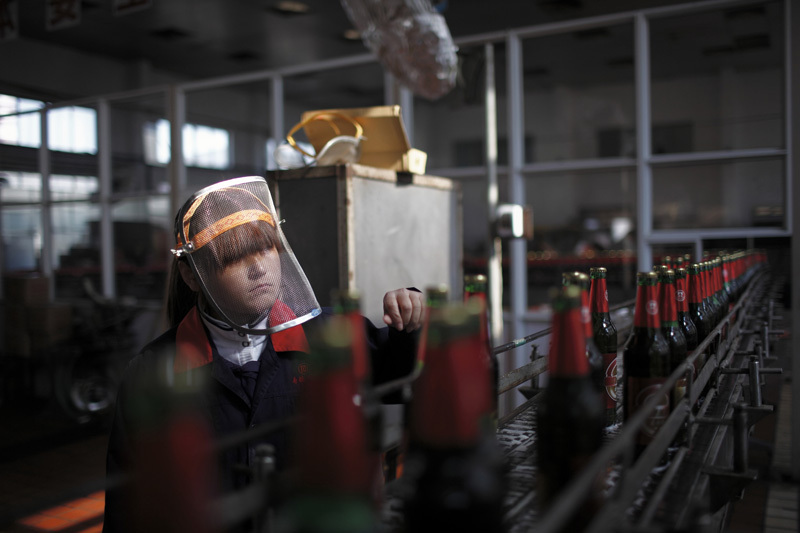 A worker inside a beer brewery inspects lables on bottles as they move down the production line on 2 November 2009 in Nanjie village, Henan province, China. Nanjie is a collective village run along Maoist lines. Residents have socialist benefits like free education and health care, but there is no private property.